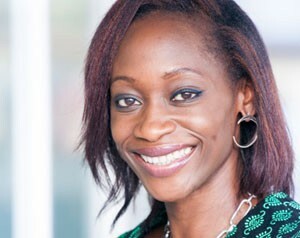 KIND was founded by Hafsat Abiola-Costello in honour of Alhaja Kudirat Abiola, a leading icon and democracy activist who was killed on June 4th, 1996 for her fight for the restoration of democracy in Nigeria. Initially involved in the pro-democracy movement, since the 1999 transition to democratic rule in Nigeria, KIND has morphed into an organization working to strengthen the civil society sector. In 2002, KIND adopted a strategy that narrowed its focus to promoting women’s participation in forging a democratic state. The strategy has guided the organization’s work from 2003 till date. Kudirat Abiola, wife of the late President-elect of Nigeria, Chief Moshood Abiola, was born in 1952, in the northern Nigerian city of Zaria, where she also had her early education. Testimonies of her times at Muslim Girls High School, Ijebu Ode, indicate the evolution of a powerful mind that married the qualities of hard work with the diligence of an achiever, becoming the Head Prefect in her final year. At 21, she married Chief Moshood Abiola in a union that produced seven children. Partly in response to the circumstance of her own history, Kudirat adopted many social causes, and was to become a prime supporter of the educational programs of the Ansar-Ud-Deen Muslim movement in Nigeria. Kudirat was also a successful businesswoman, building a pharmaceutical company, amongst many other businesses, into what is now one of the leading indigenous names in West Africa. Ordinarily tuned to private life, the military’s annulment of the June 12,1993 presidential election which her husband had won, brought Kudirat into the pro-democracy movement. The movement had its costs: in 1994, Moshood Abiola was incarcerated and kept in solitary confinement for claiming his presidential mandate. Despite the clear danger, Kudirat provided leadership in this period of general confusion — she stepped forward, convinced that the military’s actions amounted to a violation of the fundamental right of Nigerians to elect their government. In the summer of 1994, Kudirat was actively involved in moving and sustaining the oil workers twelve-week strike against the military. The strike, which succeeded in isolating and weakening the government, was one of the longest in African history by oil workers. In December of 1995, when the pro-democracy groups decided to march for freedom in Lagos, Kudirat joined such esteemed nationalists as Chief Anthony Enahoro at the forefront of the march, braving the bullets of government forces sent to intimidate them. On June 4th 1996, a few days to the anniversary of the June 12 commemorative date, when Nigerians resolved to vote out the military dictatorship, Kudirat’s life on earth ended, extinguished by assassins’ bullets. Her spirit lives on in the name and work of KIND.